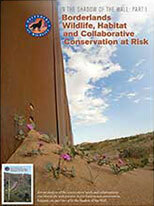 The BioScience article was inspired by Defenders of Wildlife's report 'In the Shadow of the Wall'. This report explores the biodiversity conservation consequences of extending the U.S.-Mexico border wall in detail. See the full report. 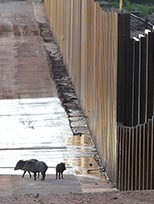 View photos of the U.S.-Mexico border wall and affected animal and plant species.